Throwback Thursday – All ‘Dem Bears! It’s Throwback Thursday! 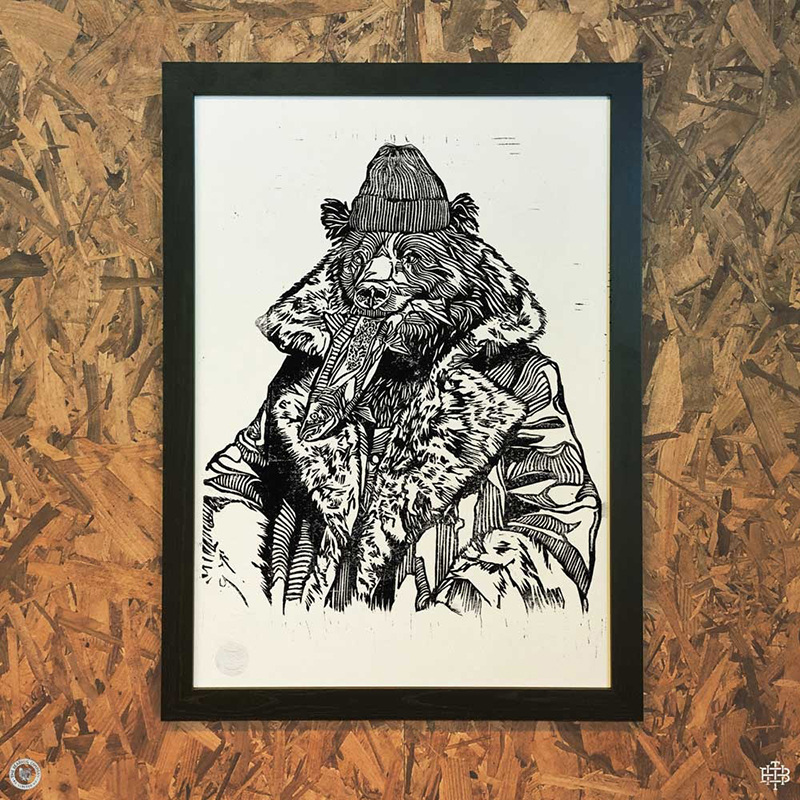 So we here at Bearhug are looking at some of Luke’s best bear designs from the past that are no longer available on the site, and let’s face it, there’s plenty of ‘dem bears! (It’s kind of our thing). If you’d like to see any of these grizzly designs make a return (or any of our other past designs), either as a print, tee, hoodie, or anything else you can think of, please let us know on social media or by dropping an email to info@thebearhug.com. Big winter coat, snazzy ribbed beanie, mouth always full of food – could be talking about the bear, could just be talking about myself, who knows. Hand-drawn with pencil and ink. In life, sometimes we’re the bottom bear, with what feels like the whole world resting on our shoulders, and sometimes we’re the top bear, riding high, not a care in the world, waving to ‘dem haters as they walk by. This handsome fella may look all lovely and fuzzy, but be warned, he’s still a massive bear. He doesn’t always kill things, but when he does, it’s because he’s a bear, and that’s what bears do. We love how well this white and black design sits on the olive hoodie – possibly a strong contender to make a return back to the website? Let us know what you think. Bear No.14 forgot to bring his phone with him when he went to the loo; now all he can do is sit there and think about bear things. This colourful beast just thought of something hilarious, but he’s trying to hold back the laughter ‘cos he’s in public and doesn’t want everyone to think he’s mental. You’ve all seen that look before: it’s when you’ve had a bit too much to drink and you’re staring at your drunken self in the mirror, trying to figure out what you’re doing with your life….and where all your money has gone. A very serious looking bear with a seriously cool, colourful background. This is the face you make when someone eats that last piece of cake you’ve had your eye on all day. We’ve all had those days: you wake up feeling like you’ve been mauled by a grizzly, and the top of your head looks just as beastly. This one’s dedicated to all the Bad Bear Days that always follow the greatest nights. So which of these bears need to make their way back on to a Bearhug tee or print? Let us know in a comment, email, message or tweet, and who knows, we may bring your favourite back.